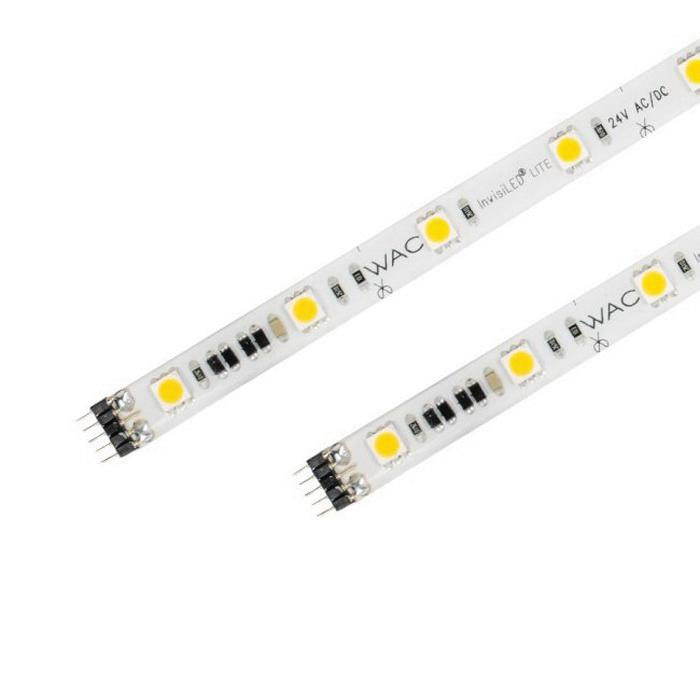 WAC Lighting InvisiLED® Pro Collection LED Tape light system features silicone cased tape light. This dimmable light system uses 3-Watt lamp per ft that has input voltage rating of 120-Volts and output voltage rating of 24-Volts. Lamp in the light system has color rendering index of 85 CRI and color temperature rating of 3000K to ensure optimal light level in the surrounding. It offers average life of 50000 hours and offers 200 Lumens/ft of bright light output. Light system is suitable for installing in the storage area of a clothes closet. It measures 1-ft x 3/8-Inch. It offers smooth and continuous ELV dimming with electronic low-voltage dimmer. This surface mount mountable light system is perfect for task or accent lighting applications. It withstands temperature rating of -20 to 50 deg C. Light system is UL/cUL listed.